GT Radial is excited to thank everyone who entered the recent Passion “Shot” Photo Contest and to announce the winners of the contest, held Sept 15 – Oct 15, 2014. 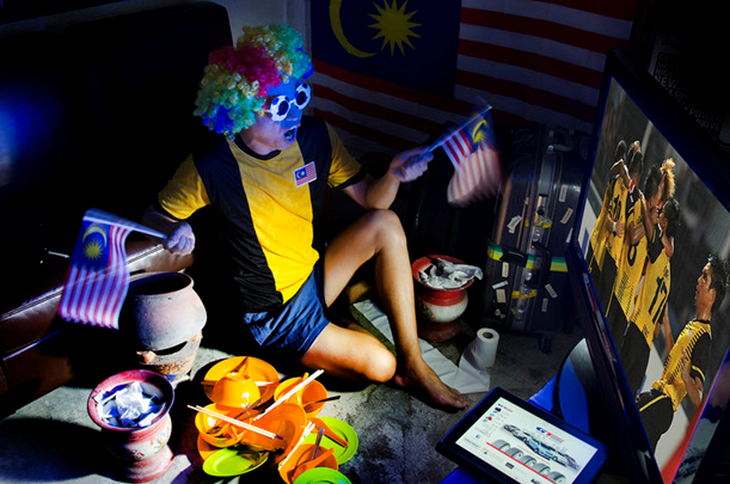 This promotion encouraged football fans to show their passion for the national team, while also promoting GT Radial’s strong brand presence in Southeast Asia. As part of the initiative, GT Radial gave the opportunity for 2 contest entrants to win free trip to Singapore or Vietnam, to watch the AFF Suzuki Cup Live with their partner or friend. The photo contest, exclusive to GT Radial social media users and website visitors, generated a great deal of global buzz, receiving numerous entries from 8 ASEAN countries. Passion for the entrants’ countries and teams was displayed in many different and creative ways. The following lucky winners were selected from a panel of mixed nationalities to win the free trip. As part of the package, they will receive two (2) return flight tickets to Singapore or Vietnam, a three (3) night hotel stay, and two (2) AFF Suzuki Cup games tickets. Ten other entrants, to be announced later, will also receive exclusive GT Radial prize packs. The goal of the promotion was to build excitement about the strengths of the brand’s products together with AFF Suzuki Cup. It was also designed as a chance to thank fans of the brand, as well as newcomers, for their interest in GT Radial. As a primary sponsor of the AFF Suzuki Cup, GT Radial will continue to have a strong presence, including on field advertising, further online activities, and outside booths at the matches in Hanoi and Singapore. GT Radial is a high-quality, fast-growing global tire brand being sold through an extensive sales and marketing network in more than 130 countries worldwide. With more than 60 years of heritage, GT Radial tires are supported by cutting-edge research and development capabilities, modern manufacturing facilities which consistently produce the high quality products that consumers expect. GT Radial is committed to maintaining the highest standard of quality control and has obtained ISO/TS16949:2002 accreditation at all eight of its manufacturing plants, the international standard for quality manufacturing. In addition, all plants have obtained Environmental Management System accreditation. This commitment to quality has led GT Radial to receive multiple quality supplier awards from top companies such as General Motors, and millions of satisfied customers around the world. GT Radial has R&D Centers in Germany, US, China, the UK, and Indonesia, which provide product development and evaluation capacity support to the extensive GT Radial development and sales network.